I recently featured as a mentor to a butcher shop in Drogheda on Feargal Quinn’s TV show, Retail Therapy. 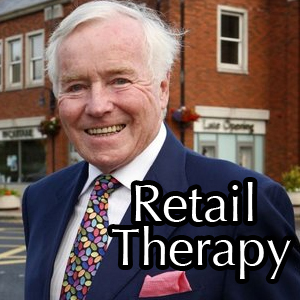 In the series Feargal Quinn uses his vast knowledge and experience of the retail trade to help reinvigorate sales and keep small businesses afloat during these hard times of recession. It was a real pleasure to meet and work with such an accomplished retailer as Feargal Quinn. He is a man of great integrity and someone who I greatly admire. His knowledge of retail trade seems endless and he has probably forgotten more than I will ever learn in my lifetime. This episode featured Sampsons Butchers, a second generation traditional butcher shop in Drogheda that was struggling to survive with competition from larger supermarkets. 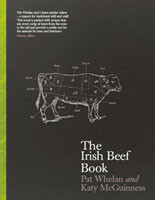 From looking at the shop window, Feargal Quinn recognized a lack of consistency in signage and no mention of traceability. In the shop itself, all of the products were displayed in their raw state with no ready-to-cook meals for customers to buy. Having surveyed the business Feargal decided to bring John Sampson to my shop in Clonmel, Co. Tipperary to see what changes he could implement in his own shop to draw more customers into his shop. I advised him that creating a brand that customers could associate with quality would inevitably create sustainable relationships with his customers. I visited Sampsons shop in Drogheda and demonstrated to John how to prepare a number of ready-to-cook meals for his shop display. Taking out preparation time and providing customers with a dish not just an ingredient, makes them far more likely to return in the future. Over a short period of time, Sampsons butchers undertook a complete revamp of the shop interior, exterior and brand, resulting in a shop that catered to customers needs while still maintaining it’s traditional charm and farm to fork philosophy. Sampsons butchers has now reopened and I’d like to wish them good luck and continued success in the future.